No matter how much you know about a particular medical field, as a health care professional, you always need to be thinking about what’s next. Thanks to advances in technology, new clinical studies, and ever-changing health care policy, there’s always more to know. But there is a downside. Simply running a search for medical blogs will lead to a heap of results. And figuring out which sources are reputable can take a lot of time. To help ease the process, we identified 75 of our favorite medical blogs everyone in the field can learn from. Whether you’re pondering medical school, have been a physician for years, or simply want to know how to make well-informed decisions about your health, there’s something on this list for everyone. Keep this list of medical blogs handy and the answers to your medical questions will always be just a few clicks away. 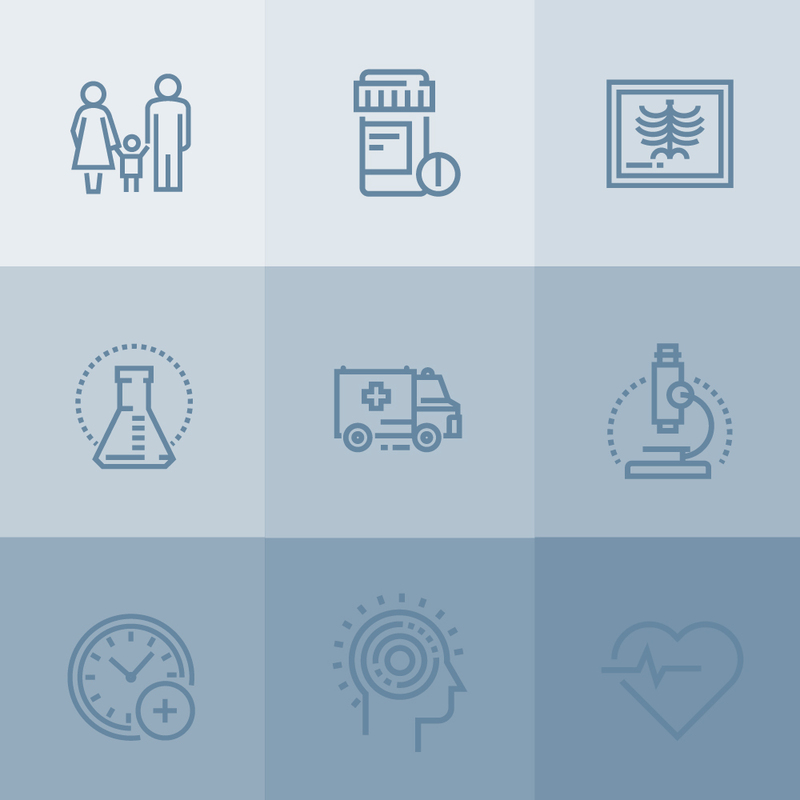 If you’re interested in a wide range of medical topics, these blogs are worth checking out. They’re also great for those who want to be more informed about health, but have difficulty figuring out where to start. Part of The New York Times, Well is a great resource for everything, from the latest research about a particular type of exercise to navigating romantic relationships. Ask Well, a column that taps physicians and other experts to answer common health questions, is another highlight of the blog. Internal medicine physician Dr. Kevin Pho founded this cult-favorite medical blog in 2004. The KevinMD.com contributor network has grown to thousands since then, featuring surgeons, nurses, medical school students and more. No topic is off-limits here, so consider it a one-stop shop for medical information. The well-known health website has quite a collection of blogs, but WebMD Doctors stands out for how relatable it is. Each post is penned by a physician, and the topics can be about parenting, heart medication, or how even health professionals struggle with healthy eating. Plenty of medical institutions have blogs, but Cedars-Sinai’s stands out for covering genuinely interesting topics. Instead of numerous posts about their faculty and facilities, expect to read about health topics relevant to just about everyone. If you find yourself constantly bookmarking health sections on news websites, Kaiser Health News is a must-follow. Knowing where to start can be overwhelming with so many topics to choose from, so using the KHN Morning Briefing is a nice way to see a snapshot of all the latest health happenings. This blog is part of Harvard Medical School’s family of publications and manages to answer questions most of us didn’t even think to ask. While topics are hard-hitting, don’t expect to find anything terribly obscure when scrolling through these posts. There’s a good chance Everyday Health is the most appropriately named blog on this list because it focuses on the health topics that consistently affect a wide range of people. They also get kudos for addressing the emotional challenges folks face when managing different conditions. This health blog from NPR takes a fairly broad look at the medical world, so there’s something for everyone. In addition to the typical news, there’s also some commentary about the intersection of health and pop culture, plus the occasional feel-good piece. Given Cleveland Clinic is widely regarded as one of the best hospitals in the country, it makes sense their Health Essentials blog is top-notch. There’s a good balance of practical health information, safety tips and even healthy recipes. Family physician Dr. Mike Sevilla pens a blog geared toward parents. Expect to see a lot of information regarding safety, commentary on trending topics, and a sprinkling of news video segments featuring Sevilla himself. The Washington Post’s health blog takes a very news-focused approach, covering new studies, diseases impacting the country and world, and some stories with a bit of shock factor. It’s a great resource for following up on the stories that often get just 20 seconds of coverage during your favorite morning news broadcasts. Technology has transformed health care, and not just the way we maintain medical records. These blogs highlight how new devices, techniques and security measures are improving the industry. Don’t let the silly name fool you, because The Medical Futurist is one of the best online resources for learning about technology in the medical sphere. There’s a real sense of skepticism in each post from medical doctor and geneticist Bertalan Mesko, and the approach is refreshing. A lot of medical professionals have a colleague who always seems to know which new medical device stands a chance of seriously improving health care. It’s likely this colleague regularly peruses Medgadget, a blog covering new technologies targeted toward numerous specialties. All the new medical technology in the world isn’t very useful if physicians and other medical professionals can’t find a logical way to use it in their practices. The good news is 33 Charts, a blog from pediatrician Dr. Bryan Vartabedian, bridges the gap by offering insight about how physicians can embrace the digital world. This blog focuses on the challenges of working in the health care industry and spends a decent amount of time covering health information technology. The guest posts are particularly insightful, often sharing personal anecdotes readers can relate to. For anything related to medical devices, MassDevice is one of the most comprehensive resources available. While a lot of posts on the website will prove more useful for physicians and other health care professionals, the blog itself is great for anyone who’s generally curious about how medical technology is changing the industry. Health information technology might sound like a pretty specific topic, but Health IT Buzz proves how much there is to consider. 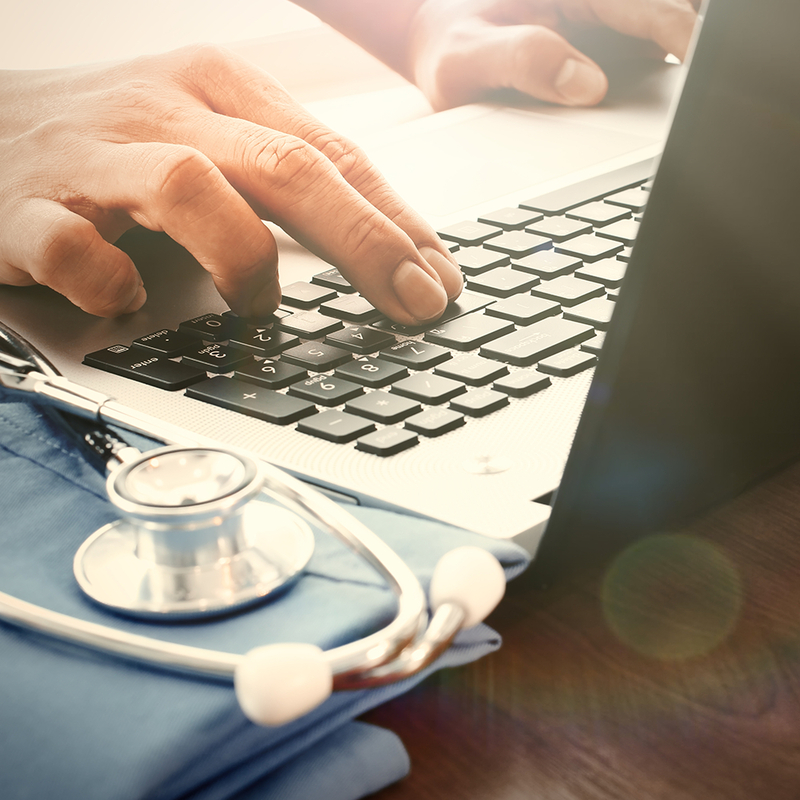 Transitioning to electronic health records has led to a lot of curiosity from physicians, organizations and patients alike, so the blog’s commitment to answering questions in the comments section is especially appreciated. Written by an IT professional who works in a nonprofit hospital, HIStalk posts an impressive amount of health technology news, responses to reader questions, and the occasional interview with movers and shakers within the health care technology realm. There are also webinars that cover a range of topics relevant to health care IT professionals. This blog covers a whole host of topics, so it’s not terribly surprising medical technology appears on the list. This particular section covers breaking news that has anything to do with medical technology, whether it’s a new type of imaging to detect cancer or an up-and-coming surgical method. Since 2006, Medical Connectivity has been sharing posts focusing on “patient safety, productivity, [and] patient and staff satisfaction.” The blog focuses on a range of technologies instead of going specific, making it a good resource for those curious about multiple health tech topics. For anyone who’s found themselves both confused and frustrated when trying to do a little online research about health information technology, the Healthcare Informatics blog will be a welcome read. The writers provide a lot of context and also offer their insight, so readers walk away feeling educated. Policy plays an undeniably instrumental role in the type of care patients receive, so this group of blogs will help you keep a pulse on any changes affecting the industry. Because so much of what the FDA does involves food, it’s easy to forget the organization also helps regulate drugs and medical devices. Law firm Hyman, Phelps & McNamara, P.C. publishes FDA Law Blog to illustrate how regulations related to these topics play out in the real world and in the courtroom. This blog from the Brookings Institution takes a look at how changes in health policy affect individuals as well as the broader system. You’ll also find information about health care policy around the globe. The US Department of Health & Human Services works to improve public health, and their blog highlights some of the ways it’s happening. Expect to read about emerging methods for treating and diagnosing diseases, practical tips you can use to lead a healthier life, and steps the government can take to improve health outcomes across the country. Most major news publications share what’s happening in health policy without going into much detail. This is where the Health Affairs Blog stands apart from the rest, offering analysis on issues affecting health care. They also welcome submissions, so feel free to chime in and pen a piece yourself. POLITICO’s eHealth site covers everything happening, and what could potentially happen, in health care. The blog does a good job of reporting the latest happenings in Washington and also features insights from people who work in the health care industry. Anyone working in the health care field knows how quickly things can change, so the weekly roundup from Health Care Intelligence is useful for getting a lot of information without having to spend hours reading. Each post shares the latest health care news from the last week, then elaborates on the most important points. For anyone who has ever found themselves scratching their heads while reading about health care, Care And Cost will offer some much-appreciated clarification. The experienced team of writers craft stories with patients in mind, so there’s no need to worry about getting lost when weighing the pros and cons of going with a PPO health plan. Focusing primarily on accountable care organizations, ACO Watch could be considered somewhat of a niche blog. But anyone who wants to learn more about the broader health care conversation will appreciate how clearly information is laid out using bulleted lists and easy-to-understand graphics. The Vital Signs blog covers health policy news with a healthy dose of skepticism. This blog is able to discuss policy in a way that speaks to individuals and political parties, as well as people in the health care industry, without coming across as either too cheerful or too dismal. This blog from the Georgetown University Health Policy Institute covers all things health insurance. Through expert posts, the blog aims to “untangle the often arcane world of insurance regulation.” This means answering questions about federal and state rules, and clarifying what they mean for individuals and their families. Prospective and current students have tons of questions about their chosen field of study, so these blogs are a great place to learn about the interview process, what it’s like to be part of a white coat ceremony, and how they can prepare for residency. While EyeSteve.com might come across as a resource most suitable for medical students interested in ophthalmology, the blog’s posts about residency can prove beneficial for any future MD. The passion and enthusiasm author Dr. Steven Christiansen shares about his career makes this blog a refreshing read. Motivate MD’s Medical Student Blog is full of tips for getting through school and managing stress. The advice is practical and somehow manages to stay upbeat. This is a good blog to mark for days when medical school seems overwhelming. This online resource is helpful for current medical students, but it might be even better for those who have yet to apply. There’s lots of information about what undergrads can do to set themselves up for the future and tips on how to prepare for medical school interviews. The blog also shares advice for writing application essays and the actual secondary prompts medical schools have used in the past. Though Life of a Med Student was started by one student as a Twitter account, it has since evolved into a full-fledged website with numerous guest contributors. Expect to find plenty of amusing stories to peruse during a lunch break and advice from people who have been there. Accepted’s blog for medical students is a good place to start when looking for answers to big questions about applying to and interviewing for medical school. There are pointers for how to start writing application essays, guides for how prospective students should dress for interviews, and tips for those gearing up for residency. The podcast interviews with physicians are also an added bonus. U.S. News & World Report’s medical-student-focused blog features plenty of physician voices, but it also lets current students share their insights as well. Most of the pieces are quick reads and give prospective students practical advice they can start using right away. No one knows more about medical school than past and current students. Merck Manuals Student Stories covers all the major milestones, but the blog also offers a lot of practical advice for managing stress and sticking to a healthy lifestyle. Dr. Jeff W. started writing about his medical school journey before he had even taken the MCAT, and his blog is still going strong more than a decade later. Common topics include helpful guides for future MDs, personal stories, news-based pieces and plenty of humor. The option to select a particular category from a drop-down menu on the right side of the screen is also a handy feature. Mary Ella Wood’s blog offers some great insight for those weighing DO school by sharing why she decided it was right for her. There’s also information about getting through school and studying for exams. Her travel posts sprinkled throughout are also nice for when your brain needs a break. While the BoardVitals Blog is jam-packed with information geared toward all types of health care workers and medical specialties, the student-facing content really stands out. There are loads of posts specifically about medical licensing exams, including the series designed for osteopathic students. The tips for combatting stress and managing the specific difficulties doctors face are also helpful. Maybe a family member has a particular disease, or perhaps you’re interested in pursuing a career in sports medicine. Look to these blogs for a deeper dive into the specific topics that interest you. Based on a book by pediatrician and childhood obesity expert Dr. Robert Pretlow, this blog covers everything from food addiction to public policy designed to curb weight gain. The insights shared on Childhood Obesity News can benefit parents, but also pediatricians and other doctors who work with children. Since heart disease remains the leading cause of death in the US, Dr. John Mandrola’s blog is a good read for just about everyone. While Dr. Mandrola, a cardiac electrophysiologist, often writes about the science of heart rhythm, he also educates readers about how to prevent heart disease through healthy lifestyle choices. Most people have heard someone refer to food as medicine, but it’s not usually very clear what they mean. Dr. Neal Barnard is the exception because, as a physician who specializes in nutrition and preventive medicine, he’s able to clearly explain the role food plays in disease prevention. In addition to written stories, Dr. Barnard’s Blog also uses infographics and other visuals to present information in a concise way. At the top of the page, this blog states it’s “more than just brain surgery.” It becomes evident after a quick scroll reveals posts examining parts of the Affordable Care Act as well as pieces about maintaining spine health. That said, Neurosurgery Blog is also a reliable source of news and ideas about brain surgery. Though Dr. David Katz writes stories about preventing chronic disease for multiple publications, some of his best work appears on LinkedIn. These posts often call out false claims Dr. Katz has seen in other headlines, frequently related to nutrition. Any time a somewhat suspicious study gets a lot of airtime, Dr. Katz will likely address what’s fact and what’s fiction through a blog post. Parents often find themselves facing new health questions once they have children, and Seattle Mama Doc aims to answer them. Concerned about a recent food recall? Wondering how to start a conversation about the importance of maintaining an active lifestyle starting in adolescence? This blog can help parents navigate just about every health issue facing their children. Anyone interested in a little self-care would be wise to bookmark Mental Health Today’s blog page. Many of these posts are first-person accounts of living with a particular disorder, and they’re just as useful for individuals hoping to educate themselves as they are for people trying to manage the condition. This blog from the American Heart Association covers everything related to cardiac health, making it perfect for people with a family history of heart disease as well as those interested in pursuing a medical degree. Many of the stories focus on medical research, but there are plenty of survivor stories and no-nonsense pieces about nutrition. Orthopaedic surgeon Dr. David Geier offers insight on injury treatment and prevention for every level of athlete. Those interested in hearing about a particular topic at length, such as how safe an exercise is, should be sure to check out Dr. Geier’s regular podcasts. Discover Magazine’s neuroscience and psychology blog takes a critical look at the latest research and news. How critical? The author revealed some quality issues with four scientific journals after successfully getting them to accept a Star Wars-themed paper, despite numerous errors and silly movie quotes. Medicine has come pretty far over the centuries, but at SGU we strongly believe medical research is the key to unlocking even better outcomes in the future. Since it can be hard to keep up with the latest studies by watching the news alone, try following these blogs to make sure you never miss a thing. Home of the Journal of the American Medical Association and a number of other publications, The JAMA Network is a research-lover’s dream. Since the information is pulled straight from the medical journals, this resource is best for those already comfortable with scientific language. The Howard Hughes Medical Institute supports research efforts in cell biology, genetics, immunology, neuroscience and structural biology. Published studies are highlighted on the news blog and presented in a way that’s easy to digest. BioMed Central publishes a number of blogs, but On Medicine is the place to go for those interested specifically in medical research. In addition to straight study coverage, this blog also delves into quality control issues that sometimes occur in medical research and points out important ethical considerations. The National Center for Complementary and Integrative Health (NCCIH) uses this blog to highlight the latest research about complementary health strategies, such as using music in a treatment plan. Each post begins with a brief biography about the author to highlight their credentials and some even share their contact information should readers have any questions. This website churns out health news and research reports consistently throughout the day, meaning there’s a lot to read. The options to sort headlines by recency or popularity are nice for those who don’t know exactly where to start. Not everyone interested in learning about the latest medical research is familiar with the clinical language used in medical journals. The Association of Medical Research Charities’ Blog is a good choice for these folks because it explains results in clear language. There’s also a fair amount about what charities can do to advance research. Physicians, nurses and other health care workers likely want to read articles a little more tailored to their needs. These medical blogs offer relevant information and can help provide a support network. Anyone who works in a lab setting would be wise to make Lablogatory regular reading. Case studies are commonly covered, as are general tips for improving workflow in a lab setting. 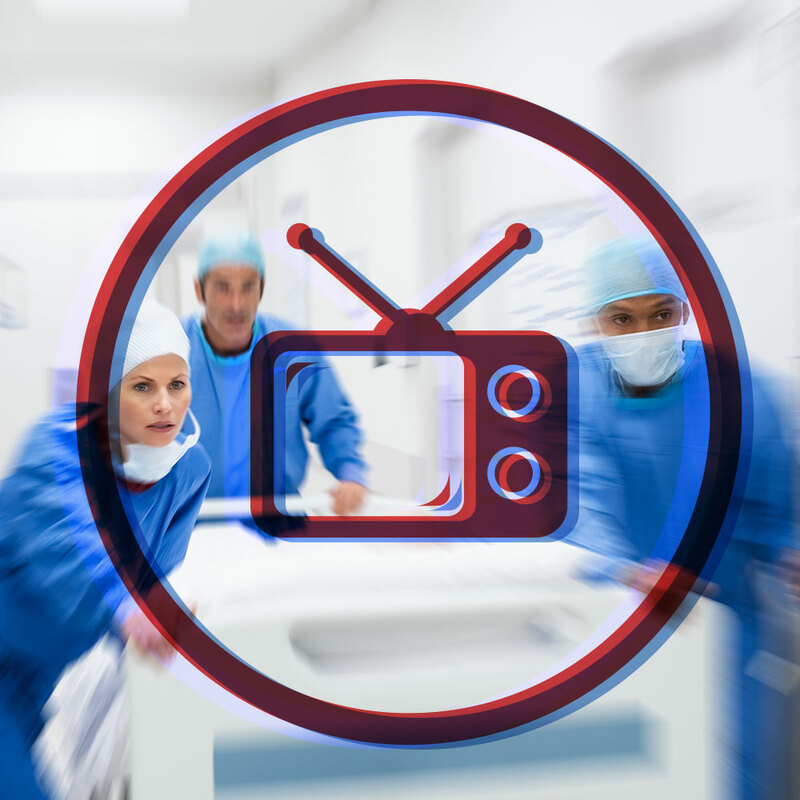 Emergency medicine is the name of the game for this information-packed blog. While a lot of the posts deal with children, there’s broader information that can prove helpful for any physician working in the ER. Hospitals & Health Networks is geared toward leaders in hospital systems, with topics ranging from workplace diversity to cybersecurity. The tab for legislation and regulations at the top makes it easy to find articles about how policy affects hospital systems. Dr. Westby Fisher started a blog “standing up for the practicing physician” in 2005. Dr. Wes handles topics unique to practicing doctors, such as physician burnout, but also invites them to think critically about how they can improve patient care by supporting appropriate legislation. Physicians who are, or will be, mothers will appreciate MomMD’s posts about how to maintain work-life balance, going through pregnancy while working, and advancing their careers. And this blog isn’t just for moms — it’s designed to support all women in medicine. This blog offers a surprisingly fun take on emergency medicine without veering too far off course. Life in the Fast Lane features interviews with physicians and a number of databases for topics like toxicology and clinical cases. And be sure to check out the Funtabulously Frivolous Friday Five, a weekly five-question quiz completely unrelated to medicine. Like many MDs, family physician Dr. Sara Taylor devotes her career to helping patients get better. But when she’s off the clock, her passion is helping her fellow doctors focus on wellness. She achieves this by blogging about avoiding burnout, embracing creativity and staying physically active. A blog about electrocardiogram interpretation might sound pretty specific, but it can be useful for those who see patients in the emergency room. Dr. Stephen Smith shares lots of ECG examples, talks about how the patient was treated, reflects on learning points, and invites readers to weigh in. 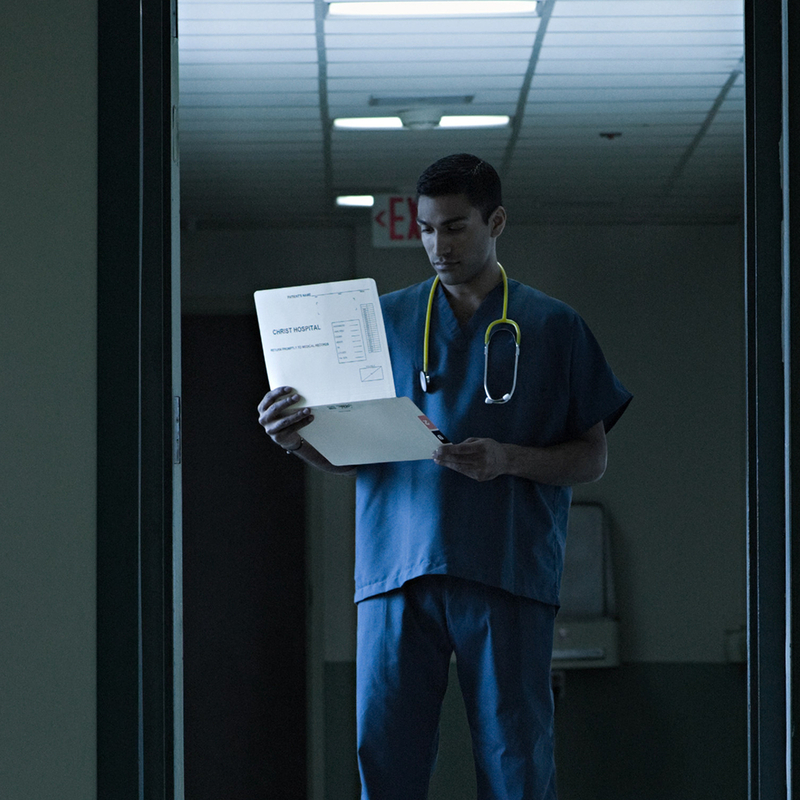 Even doctors find themselves facing scrutiny from the public. And any physician who has found themselves frustrated with the criticism might want to bookmark DB’s Medical Rants from Dr. Robert M. Centor. This blog provides a support system for doctors by highlighting some of the unfair assumptions people make. 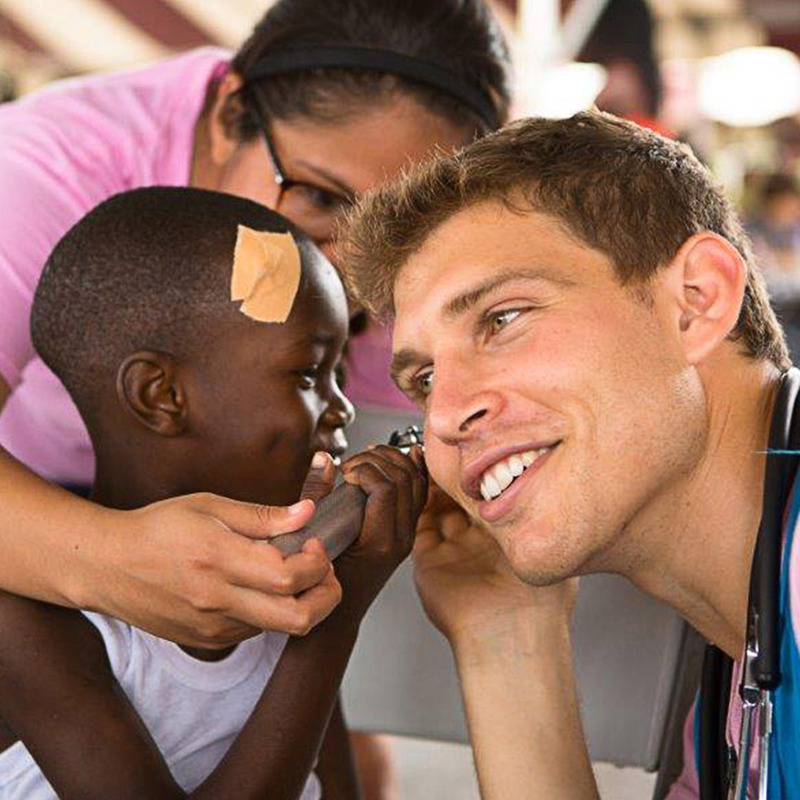 Here at SGU, we emphasize bringing a multicultural perspective to medicine as a way to address the varying health needs around the world. Understanding which medical issues different countries face can be beneficial for physicians, avid travelers, and anyone who has loved ones around the globe — and these blogs are great resources. This global health blog is part of the Centers for Disease Control and Prevention’s website. It covers health emergencies around the world and points out the challenges health care providers face in areas that lack the amenities some of us take for granted. This organization’s blog discusses ways to invest in global health and points out potential roadblocks. Some pieces reflect on how past epidemics were handled while others consider interventions that can be used to prevent future issues. The University of Liverpool’s Institute of Infection and Global Health publishes blog posts from both staff and students on a wide range of global health topics. Some are heavily opinionated pieces about ways we could better address health concerns while others focus more on specific diseases. For a more personal look at what it’s like to tackle health concerns around the world, be sure to look into the personal stories. Not everyone understands how global health concerns affect them as an individual, but The Collective Voice helps put things in perspective. Many posts discuss how health concerns in certain countries can have serious implications for people elsewhere. While it’s easy to think about how health policies affect an individual country, understanding how they play out for the rest of the world is a little less obvious. Global Health Policy Blog delves into some of those details, highlighting the importance of making changes now for a healthier world in the future. Even though Global Connections isn’t specifically about health, there is a drop-down menu on the right side of the screen that allows you to filter specifically for those stories. Quite a few of these articles present solutions to major health concerns. It’s a nice change from the negative angles that are typical among major news outlets. This blog’s massive contributor network includes medical students, researchers, physicians, professors, committee members and more. Relying on individuals with expertise in so many arenas means The Lancet Global Health Blog is able to feature stories specific to individual communities without sacrificing quality or authority. Now that you know a little more about the top medical blogs, bookmark your favorites to ensure you’re never out of the loop. Regardless of your health care specialty or level of experience in the field, you’re sure to find something in this list that appeals to you. For more great information about applying to and thriving in medical school, becoming a doctor and general health care trends, visit us again at The SGU Pulse.